Approximately 85% of clothing is sent to the landfill. Each year in the U.S. alone, 13.1 million tons of textile waste is created, with 11 million tons ending up in landfills. 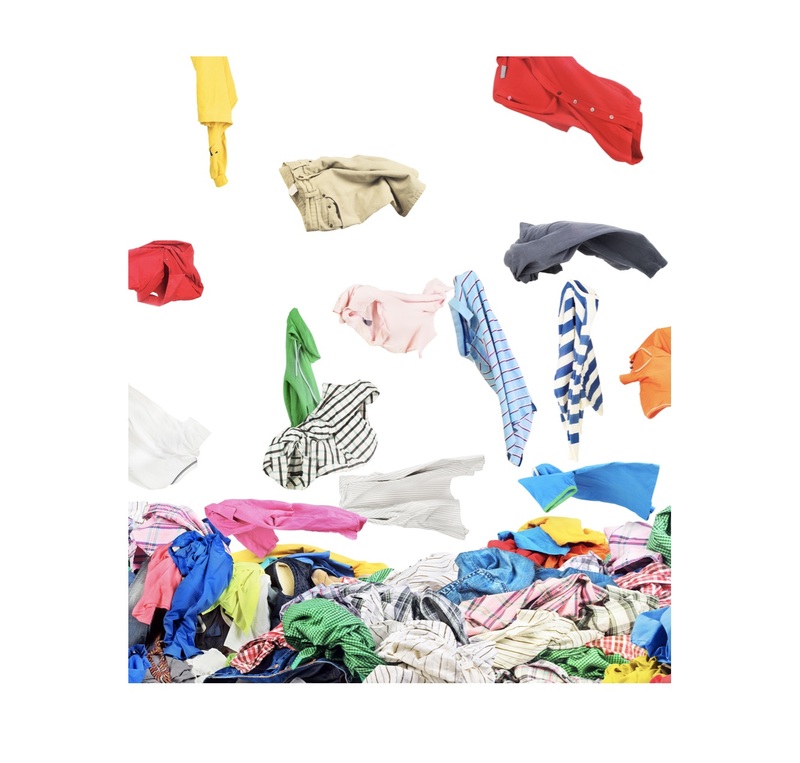 Clothing and household textiles currently make up 6.3 % of the waste stream or the equivalent of 81 pounds per person thrown away annually in the US. Nearly 95% of used clothing and textiles can be reused and recycled. Nearly all used clothing and household textiles can be re-used or recycled: 45% can be re-used as apparel; 30% gets converted into industrial polishing/wiping cloths and 20% are processed into fiber to be manufactured into new products. On average, a single person produces 82 pounds of textile waste per year, 85% of which is sent to the landfill. Recycling the material could cut energy use by 76 percent and reduce carbon dioxide emissions by 71 percent, compared with making the fiber from raw material. Used clothing and textiles take up a lot of space in landfills. Clothing is sent to a clothing recycler where it gets sorted and graded on quality. Recylers sorted fibers by colour and then they are torn into fibers. Clothing fibers are processed back into their original fiber to create blends of fiber that are sold in bales to companies that re-manufacture the fiber content into new products. Recycled fibers are used to make home insulation, stuffing for furniture, athletic equipment, pet bedding, automotive soundproofing, and more. Throwing away clothes is a missed opportunity to allow others to benefit from them – whether they are used as is, or are recycled into something new. Levi Strauss & Co. partnered with textile technology startup Evrnu™, SPC to create the world’s first jean a pair of Levi’s 511 made from using five discarded cotton T-shirts to make new fiber. This process uses 98 percent less water than virgin cotton products. Patagonia has a Common Threads Recycling Program which converts used base-layers, or long underwear, into new polyester fiber. Recycling the material could cut energy use by 76 percent and reduce carbon dioxide emissions by 71 percent, compared with making the fiber from raw material.